Australia suits the best for the highly skilled overseas workers those who are willing to start a new career abroad. This country is an amazing destination which actively encourages the young skilled migrants to immigrate to Australia. This country appraises the skilled migrants through the points based system with credits allocated for their qualification, work experience, and their language proficiency. International skilled workers those who are planning to work in this country need to apply for the skilled provincial visa through this visa they are eligible for living and working in Australia. This visa comes under the subclass 489 which is replaced by the two subclasses 457 and 487 visas. Under this visa, you can stay and work in the country for about four years. What is DIBP Point Test? 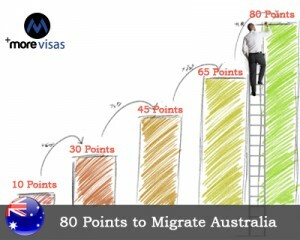 The government of Australia has introduced a new point system where you need to gain just 80 points under the Department of Immigration and Border Protection’s point test (DIBP). Applicants taking this test are accessible for some additional activities like the supplementary skilled list. There are certain requirements need to be fulfilled by the candidates. Before deciding to work in South Australia you need to analyze your job opportunities carefully, it’s your job to complete any training that is being required for the current job or whether it has registration, residency and licensing and other requirements. Because there can be certain barriers to be immediately selected for employment by the Supplementary Skill List. There will be certain quota allotted for the nominations under 80 points test. Once the quota is filled then the applications for certain jobs will close under this quota. Should have age between 18 and 50 years to apply for the respective program. Should check whether your nominated occupation matches your skills. Should score at least 80 points in the test. Should meet the health and character requirements. Should have a minimum competent English speaking. Should get an assessment from the respective authorities that your skills are suitable for the proposed occupation. These are the required factors under the DIBP test in order to get an opportunity to apply for provisional visa subclass 489. If you want to Migrate to Australia, please fill out our Enquiry Form, so that one of our visa expert will get back to you.